August and Stitch is a creative outlet for Aimee Rose since 2016. 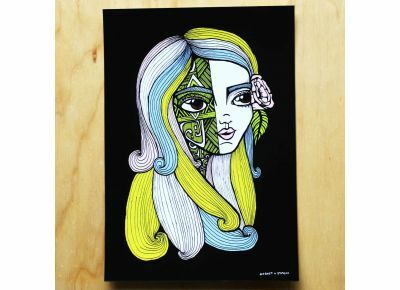 August and Stitch artworks are influenced by the kiwi lifestyle with touches of modern and retro themes, dubbed by her customers as 'kiwiana-cool'. Original works are created using acrylic paint and indian ink. August and Stitch work exudes colour and detail. 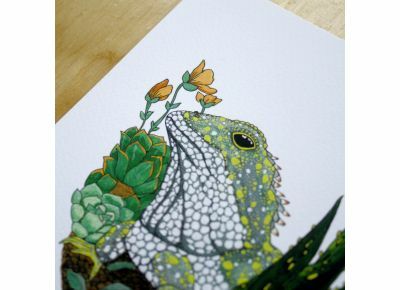 Aimee Rose is a semi-self taught artist having come from a spatial design background and really loves creating works that captures people through the familiarity of well know kiwi images or nods from the past, but surprising people with the August and Stitch flavor that is added into her work.